Do you usually peel the skin off? 1. 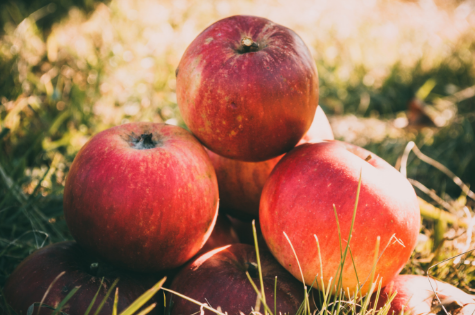 The secret to skin-ny We’ve known for some time that eating whole apples, as part of a healthy, balanced diet, can help make it easier for you lose weight by helping you to control your appetite and keep you feeling fuller for longer. A new review has shed further light on how apples help with weight loss. Published in the Journal of the American College of Nutrition, the review of 13 studies found the high polyphenol levels in apples, especially in the skin, may be directly involved in weight loss and preventing weight gain. 3. Help your heart peel good If an apple a day keeps the doctor away, it could well be because of its ability to help keep your heart healthy. There is a significant body of research that shows regularly eating apples, as part of a healthy balanced diet, can reduce the risk of cardiovascular disease. 4. Skin and bones In an emerging area of research, we are just discovering apples may be useful in managing Osteoarthritis – a condition affecting 1 in 5 Australians. Dr Joanna McMillan’s three favourite way to enjoy an apple, skin and all: 1. Slice with the skins on and serve with a chunk of cheese – I put this in my kids’ lunch boxes, 2. Slice and smear with nut butter, and 3. Blitz in a blender with spinach, cucumber, celery, mint, a slice of lemon (also with peel on) and a handful of ice cubes to make a delicious green smoothie.